About - Naval Air Station Fort Lauderdale Museum Naval Air Station Fort Lauderdale, the only military Museum in Broward County, on the register of historic places. 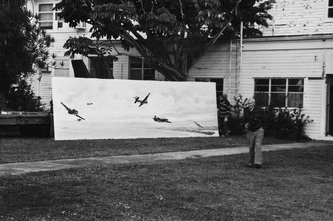 Naval Air Station Fort Lauderdale (NASFL or NAS Fort Lauderdale) was built on the site of Merle Fogg Field in 1942 as part of the national defense program; serving as one among 257 air stations during World War II, and as one of a few specialty schools for training on the TBM/TBF Avenger aircraft. NAS Fort Lauderdale made a big impact in the growth and economy of the South Florida region and the United States as a whole. Building # 8, The Link Trainer Building housed 6-8 Link Trainer flight simulators. It is the only remaining structure left on the naval base property—sole reminder of a naval complex of more than 200 buildings. 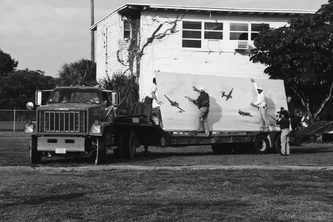 This building is now the Naval Air Station Fort Lauderdale Museum. The only Military Museum in Broward County. 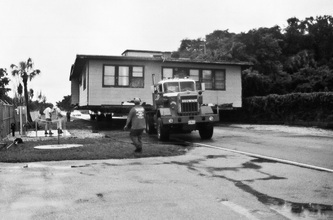 Only remaining structure left on the naval base property from WWII. Home of Flight 19 one of the great aviation mysteries. Award winning Butterfly Garden with a Flight 19 memorial. On exhibit you will find: a Link Trainer (an historic engineering landmark), a recreated Soldier's Barracks, history of Flight 19 (one of the great aviation mysteries), uniforms, flight gear, medals, insignia, ship plaques, original naval paintings, cartoons, lithographs, and a book and photography collection numbering more than 10,000 images. On-site research "Captain John Payne Memorial Library" is available. Outdoor artifacts include WWII torpedoes from a submarine, and TBM/TBF Avenger, an anti-aircraft gun, and an anti-submarine Hedgehog. On the museum grounds there is also a self-sustainable butterfly garden with a Flight 19 memorial. 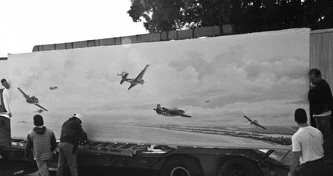 ﻿December 1998, Bob Jenny's naval aviation mural "On Final Approach" was dismantled and relocated to the Link Trainer Building #8. 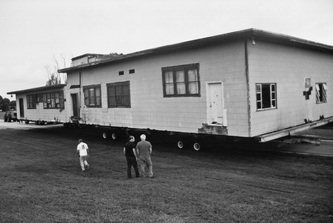 Then at the end of 1999 and on the first days of the millennium, the Link Trainer Building was moved to its current location.﻿ To accomplish the move, a crew had to cut the 300 ton building from the old foundation, jack it up hydraulically, and place it on a grid of steel beams supported by multiple tires. Before that, asbestos was removed from the building's walls and the frame was reinforced to code.